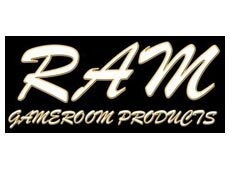 The RAM Game Room Spectator Chair will provide the rest that you need after an intense darts, billiards, or poker game. Its contemporary design can perfectly blend in any type of game room. The seat is cushioned to keep you relaxed and comfortable while watching your buddies play. The faux leather cover adds style to the furniture. This heavy duty chair can accommodate any type of spectator. The RAM Game Room Spectator Chair is the ideal furniture for spicing up your game room. Dimensions: W:20" x D:20" x H:45"
Combine this Spectator Chair with other complimentary Bars and Bar Tables in our RAM Game Room collection.